The commemoration was held on January 13th, 2019, days before Tu B’Shvat – the Hebrew New Year for the trees. In recognition of Israel’s agricultural life cycle and in honor of Ron’s monumental contribution to the development of the Land of Israel, students from the ORT Yuvalei Ariel High School planted trees around the Ron Nachman Legacy Center. The day continued with educational and team building activities and a lecture by one of the heroes of Israel, Brigadier-General Avigdor Kahalani. 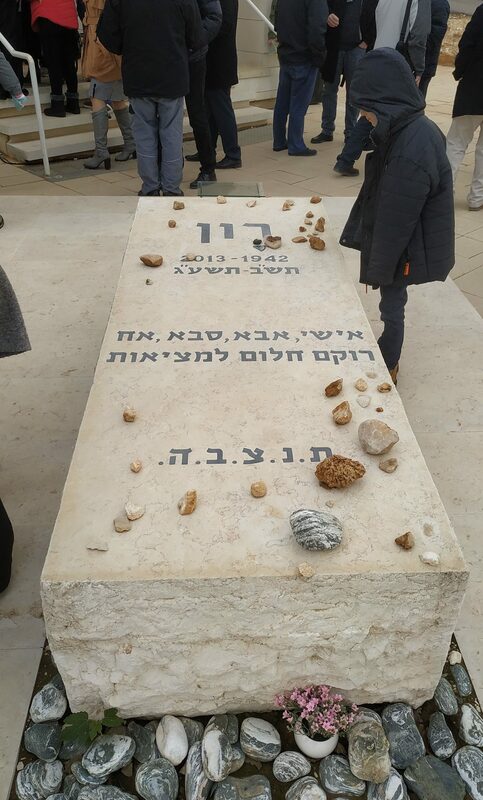 The day concluded with a meaningful ceremony conducted by high school students incorporating beautiful songs, recordings of Mayor Nachman, and remarks by Mayor Eli Shaviro, Minister Ze’ev Elkin and Dorith Nachman, Ron’s widow. Residents and municipality officials, guests from outside the city as well as all four of Ron and Dorith’s daughters and grandchildren came together to remember Ron.